TRILOK STEEL INDUSTRIES is well known supplier,exporter and manufacturer of ASTM A312 TP304. ASTM A312 TP304 Pipe specification covers seamless, straight-seam welded, and heavily cold worked welded austenitic stainless steel pipe intended for high-temperature and general corrosive service.Our offered ASTM A312 TP304 Seamless Pipesfurnished in the heat-treated condition in accordance with the required heat treating temperature and cooling/testing requirements. ASTM A312 TP304 pipeshall undergo mechanical tests such as transverse or longitudinal tension test and flattening test.We can provide ASTM A312 TP 304 Welded PipeMill Test Certificate as per EN 10204 as per 3.1/3.2 TC. ASTM A312 TP304 Pipe Lengths: SRL and DRL 5meters up to 11meters available from Stock or Production. 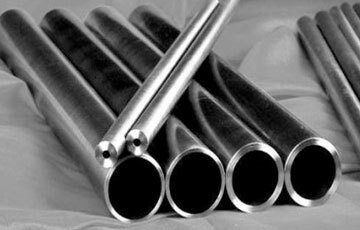 TRILOK STEEL INDUSTRIES is one of most reputed ASTM A312 TP304 Stainless Steel Pipe supplier , we supply ASTM A312 TP304 Seamless Pipe and ASTM A312 TP304 Stainless Steel Welded Pipe after all quality parameters checks by experienced and good knowledge staff.We stocks a wide range of industry standard sizes of ASTM A312 Seamless Stainless Steel Pipes. Our offered ASTM A312 TP 304 pipes are tested in accordance to internationally recognized standards or our own more stringent internal test procedures, which is developed considering the harsh field conditions. In addition to this we also offer specific testing to our client’s as per requirement. 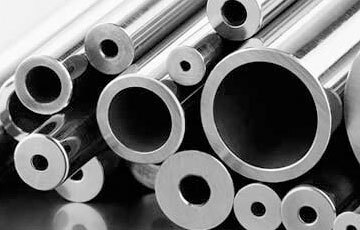 Trilok Steel Industries is India's largest stockholder of astm a312 Stainless Steel Pipe includes ASTM A312 TP304 Stainless Steel Square Pipe,ASTM A312 TP304 Stainless Steel rectangular Pipe, ASTM A312 TP304 Stainless steel oval Pipe, ASTM A312 TP304 stainless Steel Hollow Pipe, ASTM A312 TP304 Polished Pipe, ASTM A312 TP304 Stainless Steel round pipein custom-made shapes and sizes as per the requirements given by our clients, and that too at an affordable and market leading prices. ASTM A312 TP304 ERW Pipe has excellent corrosion resistance at normal temperatures in ordinary atmospheric conditions withstanding some natural acids, which is why this grade is used frequently in the food & drink processing industry. ASTM A312 TP304 EFW Pipe are widely used in Fertiliser Industries, Food Processing, Kitchen wares, Textile, Petrochemical etc. Buy ASME SA 312 TP304 Pipe at reasonable price in India from us. Contain slightly more nickel then TP304 / TP304L, as well as 2-3% molybdenum. Austenitic chromium-nickel-manganese stainless steel which was developed to conserve nickel. 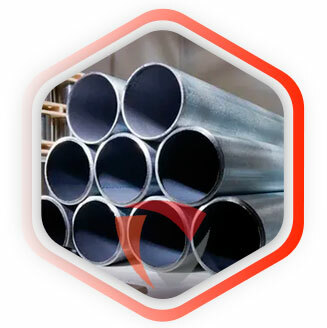 Suppliers of ASTM A312 TP304 Stainless Steel seamless pipes, ASTM A312 Tp304 seamless pipe,ASTM A312 TP304 Stainless Steel Pipe Exporter,ASTM A312 UNS S30400 seamless pipe Distributor, ASTM A312 Grade 304 Pipe Distributor, TP304 A312 seamless Pipe Dealer, ASTM A312 TP304 Pipe Supplier in Mumbai, India. ASTM A312 TP304 Stainless Steel Pipes are finished in accordance with customer needs regarding dimensional and wall thickness specifications as well as heat treatment for more demanding applications. In general a stainless steel seamless pipe is manufactured in sizes from 1/2” to 8”NB according to current standards API, ASTM, and ASME. The table shows the outside diameter and wall thickness chart for ASTM A312-ASME SA312 TP304 stainless steel pipes in mm. Note: schedule 5S is hard to find on the market, therefore schedule 10S is recommended for pipe specifications and piping classes. Treatment Min.º F(º C) Ksi (MPa), Min. Ksi (MPa), Min. satin No.4 No.8 astm a312 tp304 seamless pipe hot sale!! !